Below you will find some detailed information on my CDs. 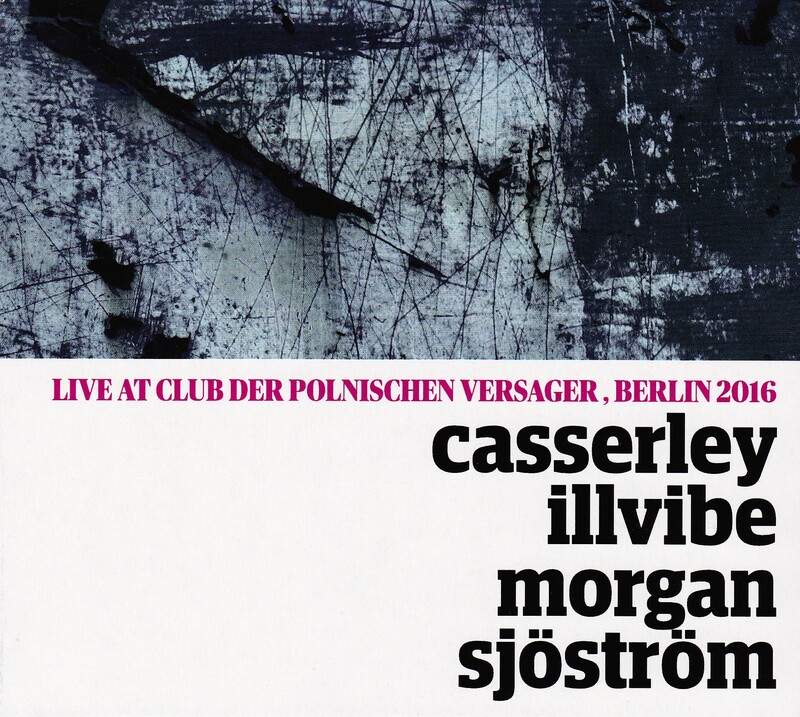 Lawrence Casserley- DJ Illvibe- Jeffrey Morgan- Harri Sjöström- four distinct musical personalities, coming from four different countries, finding themselves together on stage in a quartet formation for the first time, and the results of their performance are documented here. 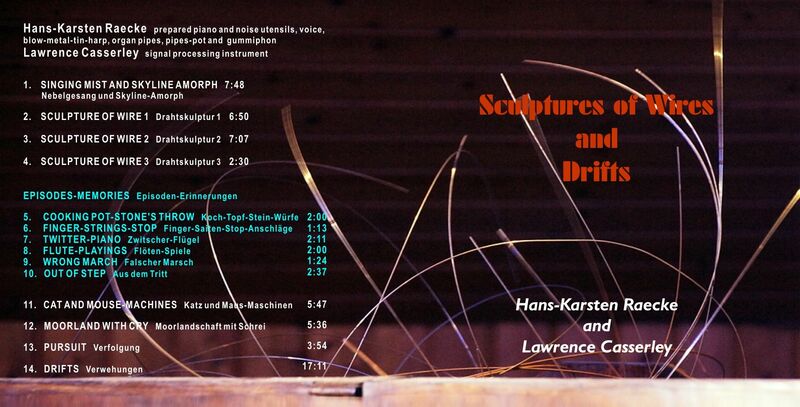 The line up is exquisite - delightful what occurs in the extraordinary instrumental combination, but also in the potential of the players and the resulting tension - utilizing different genres of sonic language - constantly shifting focus between moods and soundscapes - the large arcs being developed require deep intuitive understanding of form and dynamics, which for these players is highly developed. In ancient Greek myth, the Anemoi were wind gods who were associated with various seasons and weather conditions. We have named our tracks after winds from other cultures as well as the Greek. They form a compass rose of winds from around the world. 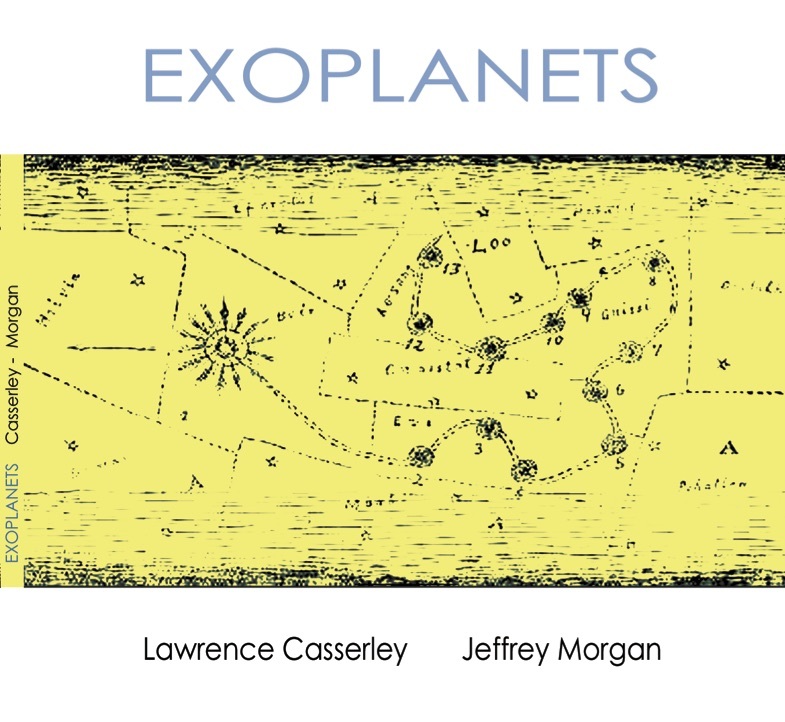 In "Exoplanets" the darkness is all around us; the darkness of deep space; the darkness of deep thought; the darkness of deep caverns. Is it all catastrophe and despair? No! Shafts of light pierce the darkness from time to time; hold on to them to guide you through eternity! "It would be in vain to map or survey the aesthetic landscapes of these two musicians, or to stalk them or to track them down by attempting to describe their style; they are awake, and ask us as many questions as our imagination is capable of perceiving and admitting to. If one wanted to re-trace their intentions, one would be getting lost in a maze. So we forget our accounting and listen. Restlessness is unproductive - coming to a standstill is the best way to prevent stagnation. Intense simplicity rests inside extreme complexity. Seriousness is drained away and gives space to seemingly simple games aimed towards infinity. There is no solution for achieving continuity. Rather than a "work", it is a process - a construction site, an experience of the moment." From the notes by Jean-Michel Van Schouwburg translated by Bruno Guastalla. 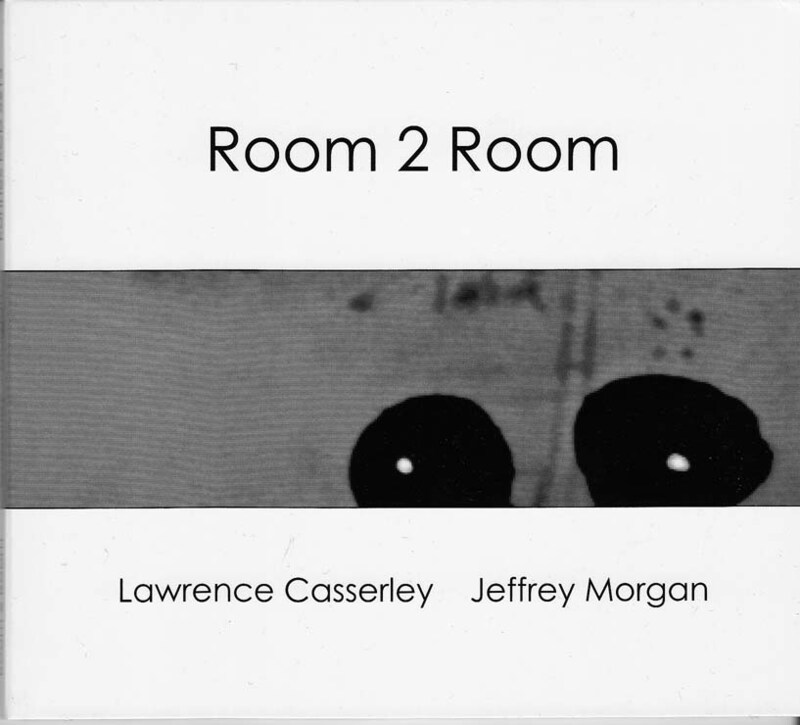 "Lawrence began making electronic music in the all analogue world of the 1960s - for the last thirty years he has focused his work on live digital signal processing of sound, with a particular emphasis on improvised music, sound/light installations and collaborations with visual artists and poets. "Nacho Muñoz (Madamme Cell) is a long-established composer of the Galician scene, who has developed into an improviser and experimental artist with several lines of research related to sound, public space and rural community development. "Lawrence and Nacho met in the Vyner Gallery in London and created monsters ¿^_^?" Four Tracks - "Hasselt 1", "Hasselt 2", "Hasselt 3" and "Hasselt 4"
"The end results have to be credited equally to both participants as, by turns, Casserley makes the singer sound like a wild beast roaring or snoring, a human in the throes of agony or ecstasy, a variety of cartoon characters, a deranged opera singer or a pod of dolphins communicating. 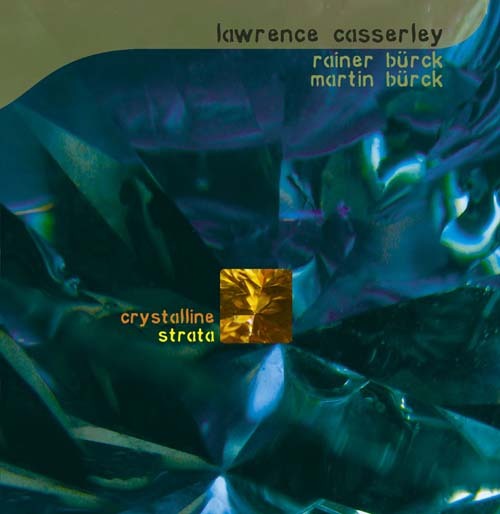 True, many of those sounds are present in the singer's normal (untreated) repertoire, but here Casserley does not distort them; instead, he tweaks them to make them more themselves, a subtle but important difference. If electronics can dehumanize music in some contexts, the opposite is true here; the electronics serve to emphasize the all-too-apparent humanity of Van Schouwburg's voice." "Altogether, Mouth Wind is notable for the way in which its two contrasting improvisers gel into a coherent unit, and the way in which voice and electronics blend and complement each other." John Eyles, All About Jazz. Recorded Münsingen, Schwabia, May 2007. 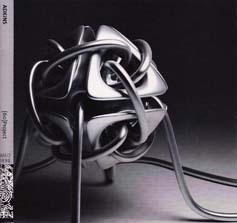 Tracks consist of "Crystalline Materials", "Allotropy", "Latent Heat of Fusion", "Different Kinds of Snow", "Quartzite" and "Crystalline Synthesis". 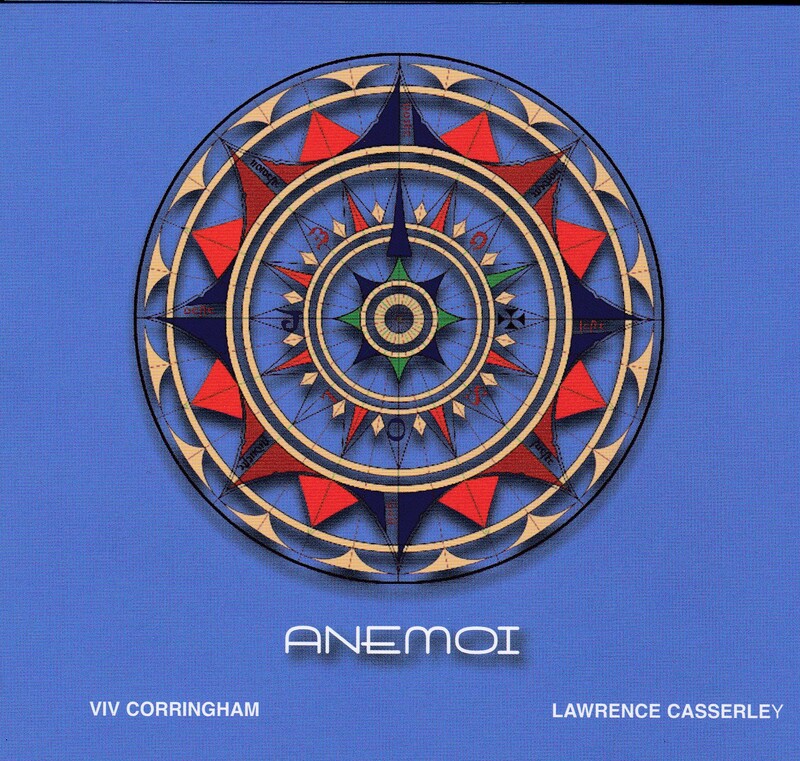 Recorded at the 2003 Donaueschinger Musiktage. Tracks consist of "SET part I intro (studio)" "SET part 2 (concert)" and "SET part 3 (studio)". "Two five-minute studio cuts bookend a combative, colourful 40 minute set from the Donaueschingen festival, in a bright, punchy live recording that captures the details of the performance with spectacular precision. The title refers to evolutionary biologist Lynn Margulis's Serial Endosymbiosis Theory, though you don't need a degree in phylogenetics to appreciate the intellectual and emotional power of the music. Parker would no doubt concur with Barrett: 'I generally prefer to concentrate on what music is doing rather than how it was done.' In other words, trust your ears." Dan Warburton - The Wire No 312. 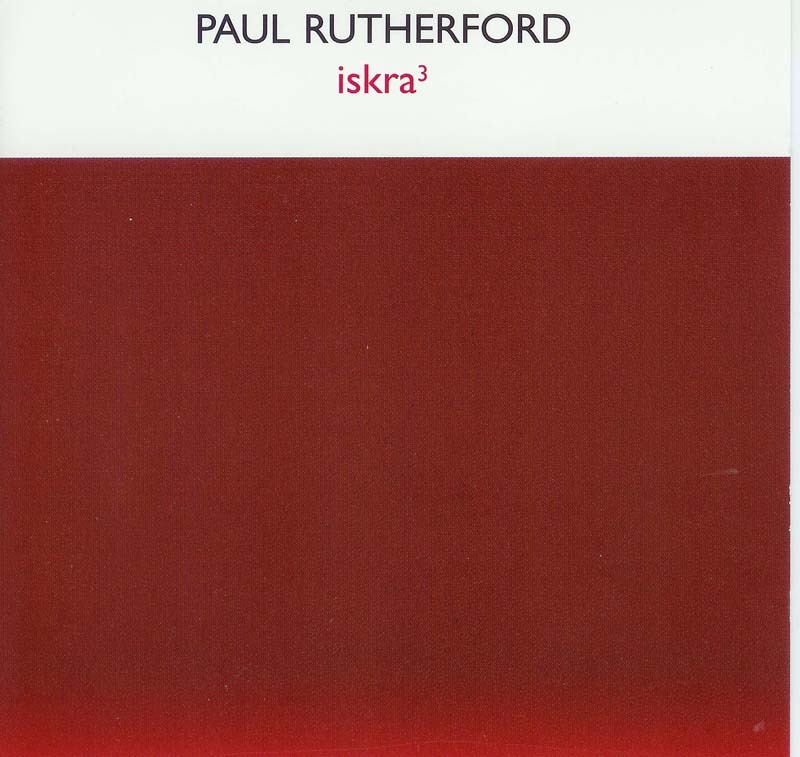 Recorded at the 2007 Huddersfield Contemporary Music Festival, this line-up adds instrumentalists Peter Evans, Ned Rothenburg and Ko Ishikawa to the Ensemble, making it the largest version yet. Tracks consist of "The Moment's Energy I - VII" and "Incandescent Clouds". 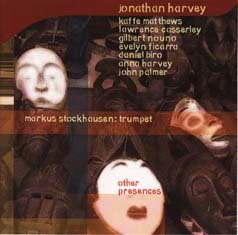 This CD features Jonathan Harvey's composition for trumpeter Markus Stockhausen and his live processing setup. Seven other musicians were provided with Markus's source material without hearing Jonathan's piece. They were each invited to produce a "remix" based on these sounds. 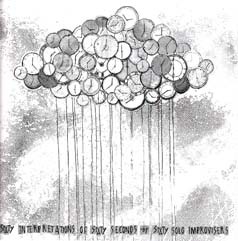 The tracks are: "Other Presences" - Jonathan Harvey; "Men Being Butterflies" - Kaffe Matthews; "Lost Wax" - Lawrence Casserley; "Wataru Jikan" - Gilbert Nouno; "Fractured Marble" - Evelyn Ficarra; "Lost Frontier" - Anna Harvey; "Present Otherness" - John Palmer. 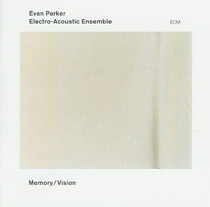 Evan Parker - soprano saxophone; Philipp Wachsmann - violin; Simon Desorgher - flutes; David Stevens; computer processing; Lawrence Casserley - signal processing instrument. The latest release from the EAE, recorded at the 2004 Free RadiCCAls Festival at CCA, Glasgow, adds Richard Barrett and Paul Obermayer to the line-up. 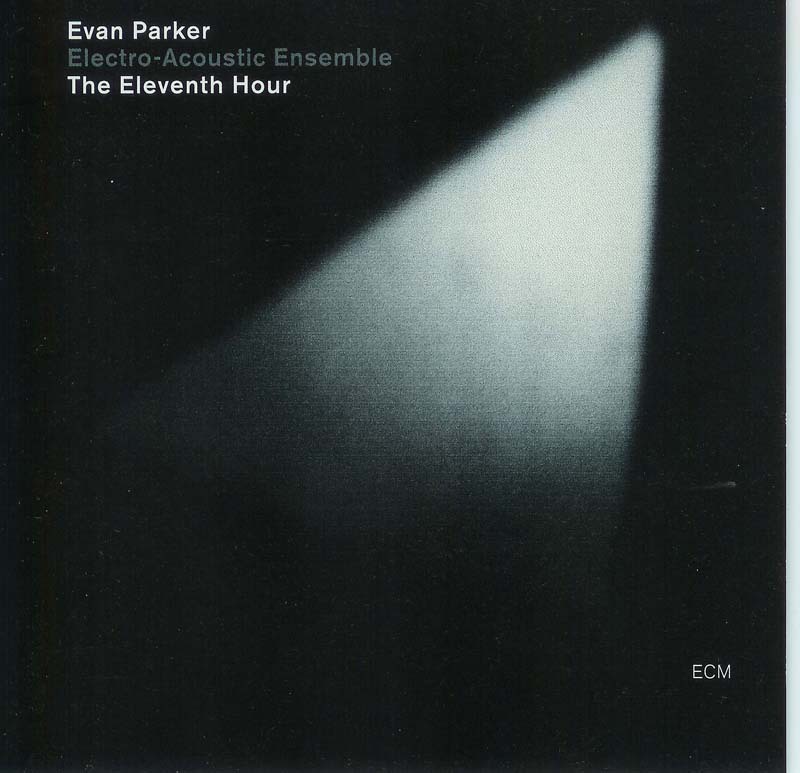 There are two pieces, "Shadow Play", a quartet by Parker, Casserley, Ryan and Prati, and "The Eleventh Hour", in five parts, Parker's new piece for the Ensemble. 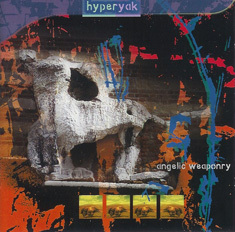 Tracks: Angelic Weaponry, Four Mountains, Hippogriff, Heaven's Wind, Installing Ley Lines. "Behind his face and his words, which were copious, fantastic and stormy, there was only a bit of coldness, a dream dreamt by no one." - Borges, "Everything and Nothing"
Evan Parker, Soprano Saxophone; Barry Guy, Chamber Double Bass; Lawrence Casserley, Signal Processing Instrument. 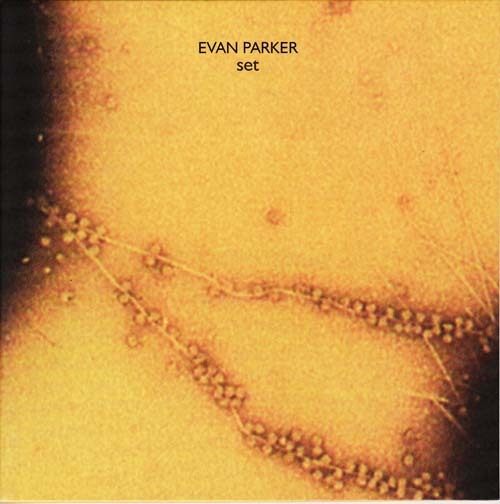 "They have met many times before - Barry Guy and Evan Parker - two tributaries of this never-the-same-river-twice. But this time their confluence can send them in contrary directions: The moment that is now is confused with the moment that was then; details are waylaid in a shadowy cave. The interventions and extensions produced by Lawrence Casserley act like uprooted storm-blown trees casually thrown across the river. He is also the storm. "A little of the rigorous clarity of the basic duo is sacrificed for a music which is smudged and realigned with details recovered from the process of its own making and strengthened by the stretch and stress of this intense knotting. The echo hunts the note, the shadow separates from its root. Each of these sharply contrasted pieces is a study in matching the design of the computer sound processing instrument to the associated acoustic instrument and to the expressive requirements of the piece - in each case the instrument and the piece are one concept. 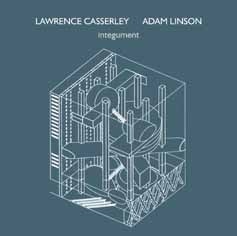 "Improvisation" and "PanDemonic" composed by Lawrence Casserley and Simon Desorgher; all other pieces composed by Simon Desorgher. 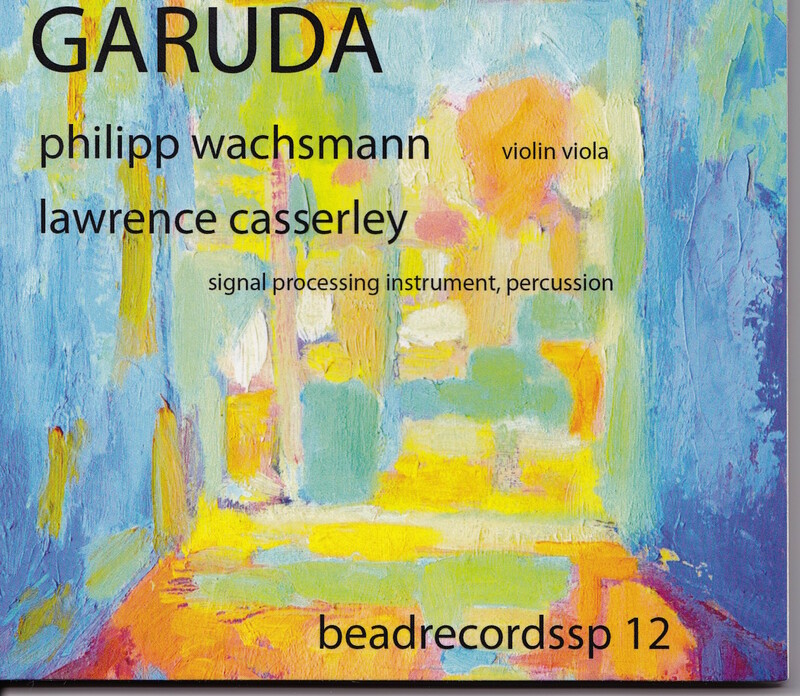 This CD is mainly of music by my long-term collaborator Simon Desorgher, however two of the pieces are joint compositions, and two others feature me as a performer. In addition I devised the computer programs for "Music of the Spheres", "Improvisation" and "PanDemonic", while the design and construction of the giant panpipes was a collaboration between Simon and myself. "Music of the Spheres" was composed to be played in the Giant Bubble (above). The sound of the flautist suspended in the centre is radioed to the shore, where the computer turns it into an orchestra of flutes. "Concert Studies" 1 and 2 are part of a series of six exploring extended techniques for solo flute. The Mature Person's Guide to the Flute is a set of contemporary variations on the well-known Purcell tune, for flute and piano. Trio for flute and tape combines extended flute techniques with electronic and concrete sounds. "Improvisation" uses my Signal Processing Instrument with Simon on Bass Flute. "PanDemonic" is our show-piece for the giant panpipes with extensive computer processing. 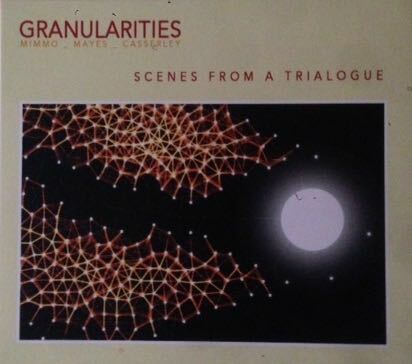 "the science of restoring what is missing and of equating like with like"
"the surgical treatment of fractures"
"the bringing together of elements"
by means of general symbols"
Live at "Les Instants Chavirés"
Recorded in concert December 20, 1997 at "Les Instants Chavirés", Montreuil, France. Recording Engineer and Line Producer Jean-Marc Foussat. 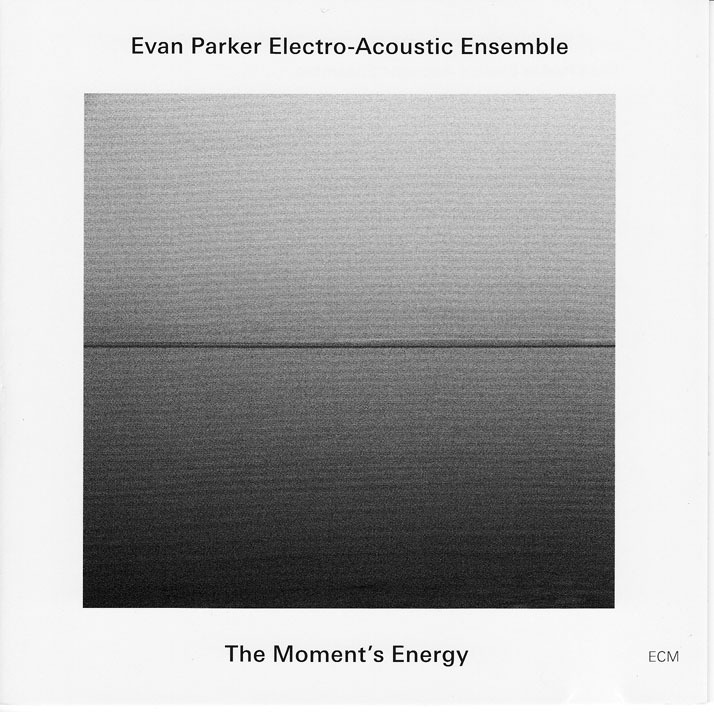 Produced by Evan Parker and Leo Feigin. "This is the next frontier for spontaneous music ensembles. Out of many squabbling voices one beautiful, contemporary noise; out of chaos, clarity." Gil Gershman, Motion. FMR sampler 3 (from Avant magazine). 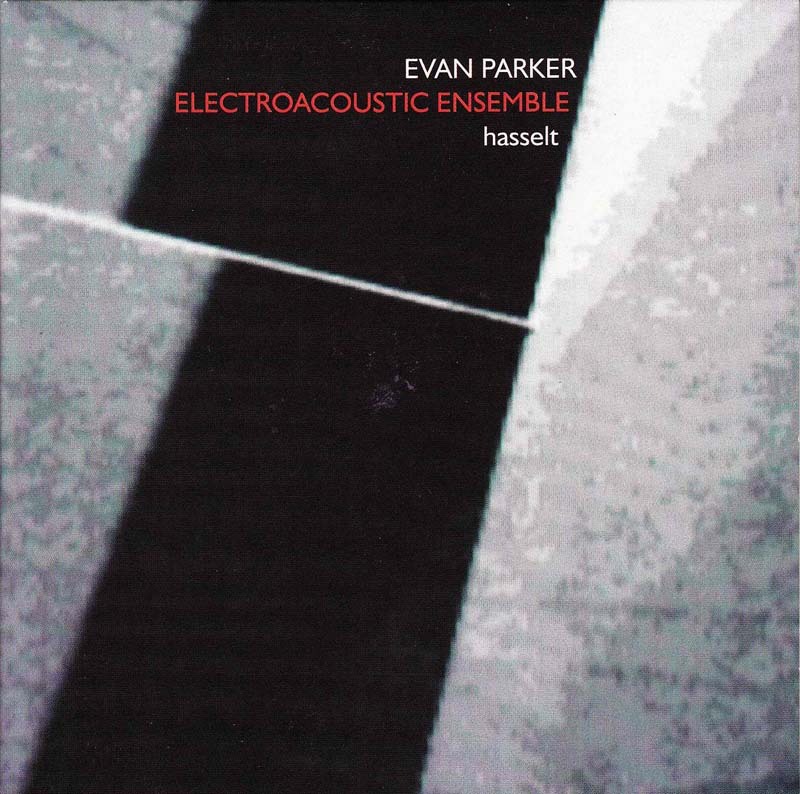 One track with Evan Parker. 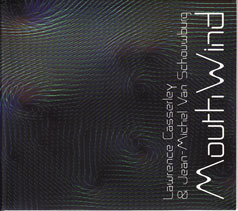 Lawrence appears on a couple of tracks on this CD, and was also responsible for some of the recordings.